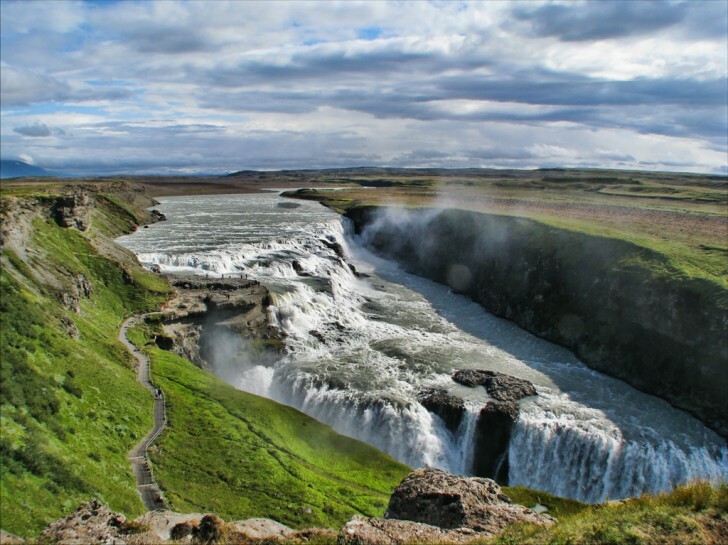 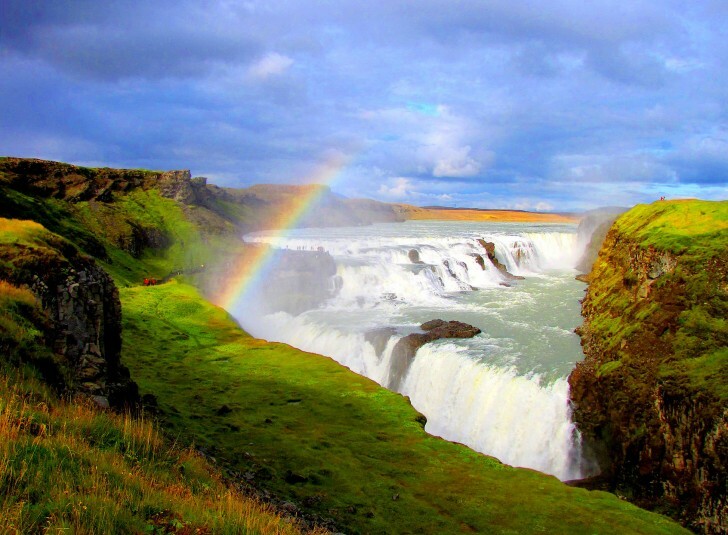 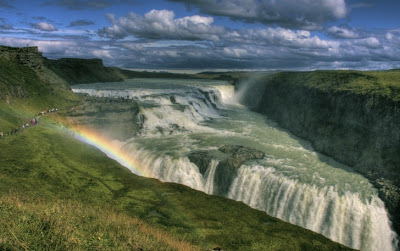 The Gullfoss also known as Golden Falls, a 2-tiered waterfall, is one of the most popular tourist attractions in Iceland. 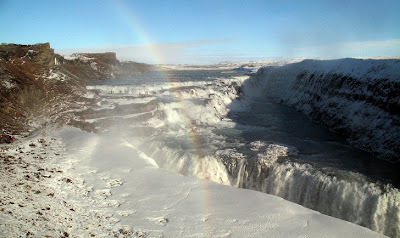 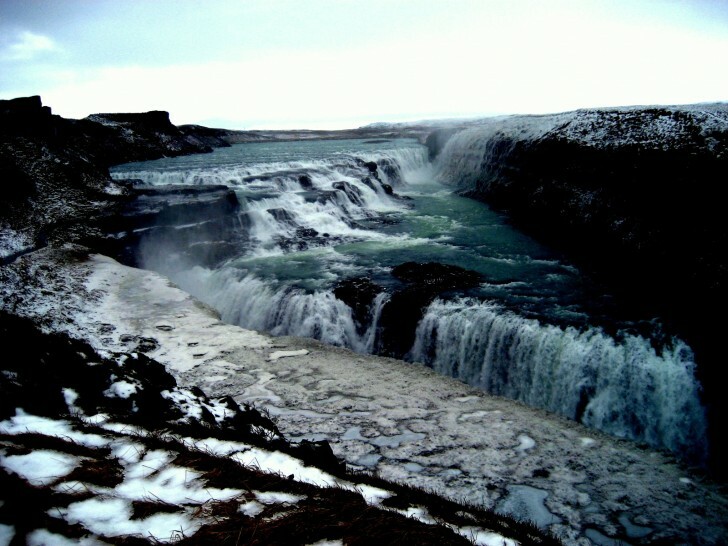 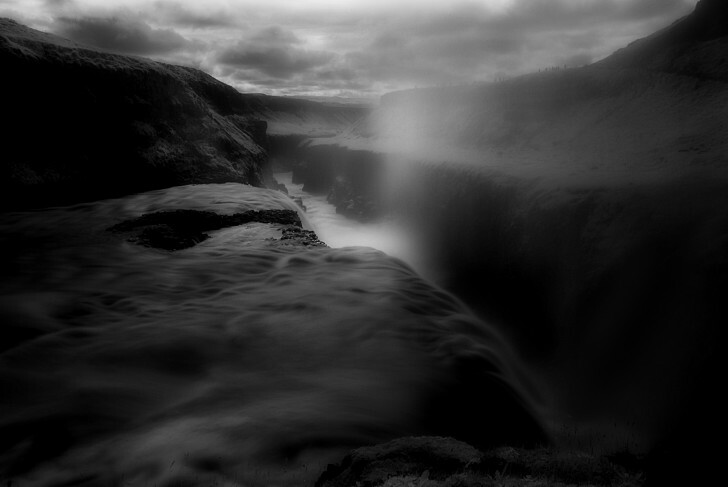 The height of Gullfoss is 32m (105 ft) and is part of the Hvítá river. 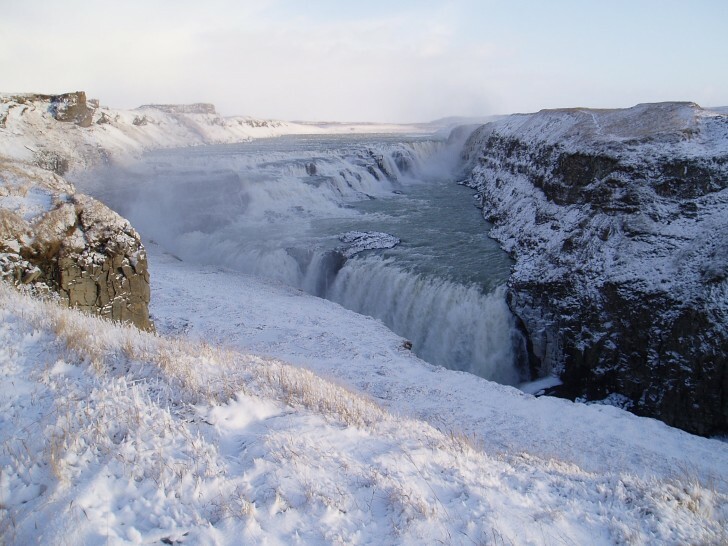 The Haukadalur geysers and Þingvellir national park are the nearby attractions and together these 3 sites are called the Golden Circle. 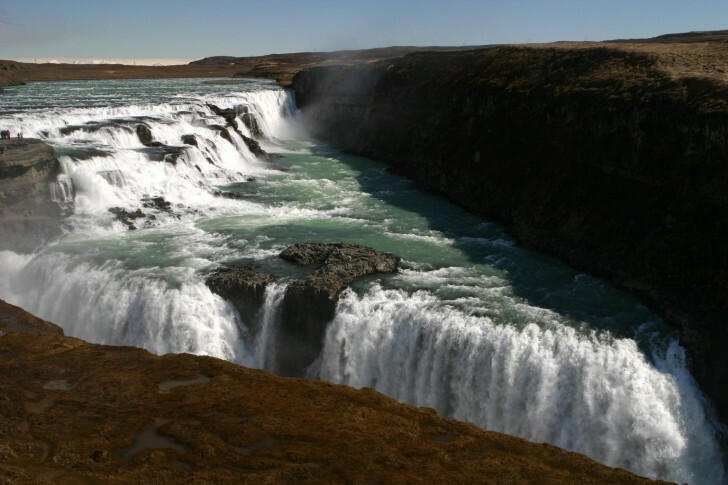 Most visitors stay in Reykjavík for day trip on the Golden Circle. 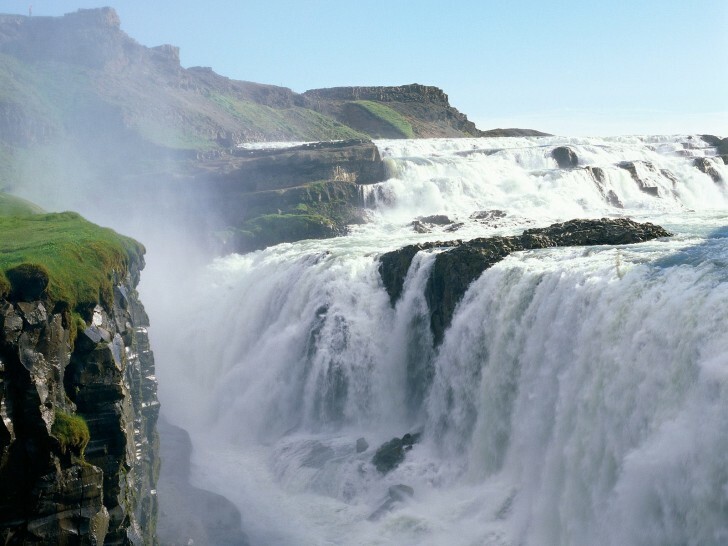 There are hotel accommodation nearby for the popularity of the falls.